The first match for the final Ring of Honor television taping of 2018 has been announced. ROH will hold this taping the night after their final pay-per-view event of the year, Final Battle. International superstar Zack Sabre Jr. takes on “Hot Sauce” Tracy Williams in a singles match at this taping. The Baltimore-based promotion is expected to announce more matches for this show in the coming weeks. ROH World Champion Jay Lethal, ROH World TV Champion Jeff Cobb, ROH World Tag Team Champions SCU (Frankie Kazarian & Scorpio Sky), ROH World Six-Man Tag Team Champions The Kingdom (Matt Taven, TK O’Ryan, Vinny Marseglia), Women of Honor Champion Sumie Sakai, Rush, “The American Nightmare” Cody, The Young Bucks (Matt & Nick Jackson), The Briscoes (Jay & Mark Briscoe), “The Villain” Marty Scurll, “Hangman” Adam Page, Madison Rayne, Christopher Daniels, Bully Ray, Flip Gordon are also advertised to appear at the taping. Ring of Honor is slated to hold their Final Battle pay-per-view event on December 14, 2018 in Manhattan, New York at the Hammerstein Ballroom. 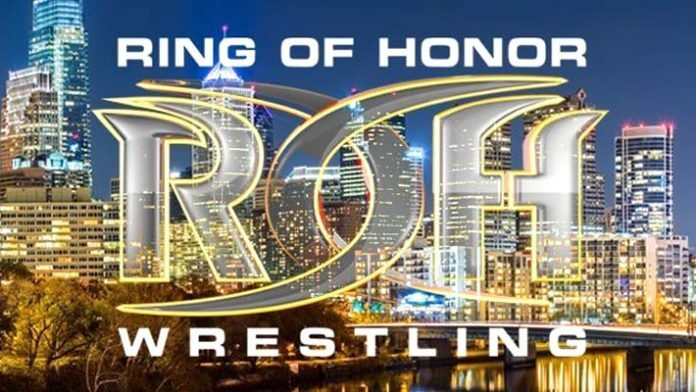 ROH will be holding TV tapings in Philadelphia the following night for upcoming episodes of their television show. This taping will also feature fallout from the programs and matches that went down at Final Battle.